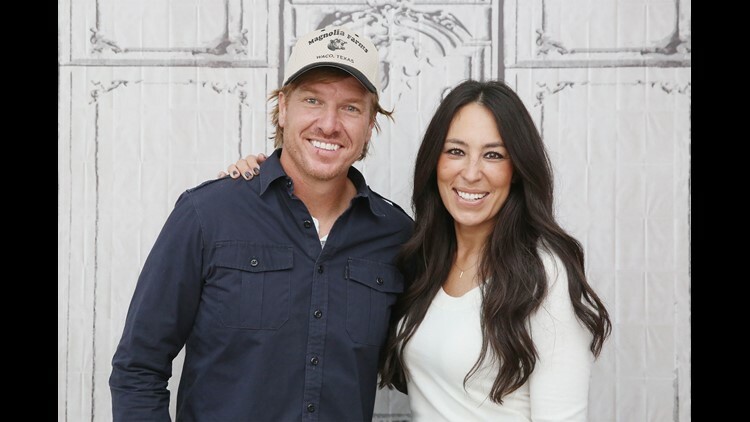 Chip Gaines and Joanna Gaines co-hosted Fixer Upper" on HGTV for five years. The former "Fixer Upper" family just welcomed one more member! Chip Gaines announced on Twitter on Saturday that he and wife Joanna welcomed their fifth child. "And then there were 5," he wrote with the hashtag #BlessedBeyondBelief. "The Gaines crew is now 1 stronger! 10 beautiful toes and 10 beautiful fingers all accounted for, and big momma is doing great!" Joanna shared pictures on Instagram, saying "Crew Gaines, is here and we couldn’t be more in love." Joanna said he arrived two and a half weeks early. In March, the HGTV stars announced they were expecting a baby boy. Before welcoming their new child, the Gaines family had to say goodbye to their HGTV Show "Fixer Upper," the final, emotional episode of which aired in April. The star couple announced they weren't leaving the network just yet, however. They announced in April that they are working on a new "Fixer Upper"-based series.